The verses above are from the old King James Version which can be interesting because it uses the English of 1611. Notice the word “provoke” in #3 above. The usage of this word in 1611 was different than it is in 2013. Today we generally think of provoke as something negative; however, the way it used in this verse is positive. It is the idea of encouraging another person to do what is right. How do you provoke people? 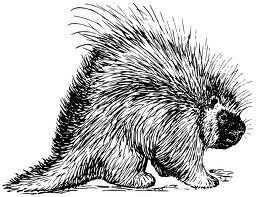 Are you a porcupine who keeps people at a distance or needles them until you get your way? This is the approach that many people take in their relationships. The preferred means of provoking is more of a golden retriever approach. This is a warm, fuzzy, and affirming relationship that builds people up and encourages them. Think about it–How do you provoke people?